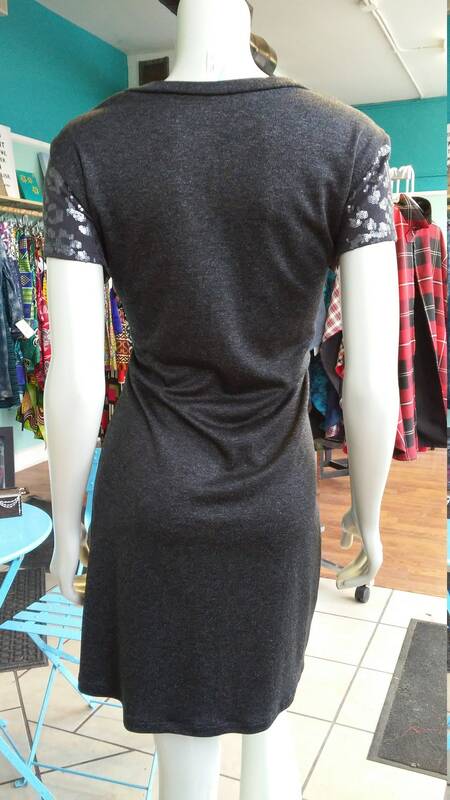 Super comfortable, lightweight knit short sleeve vneck dress. 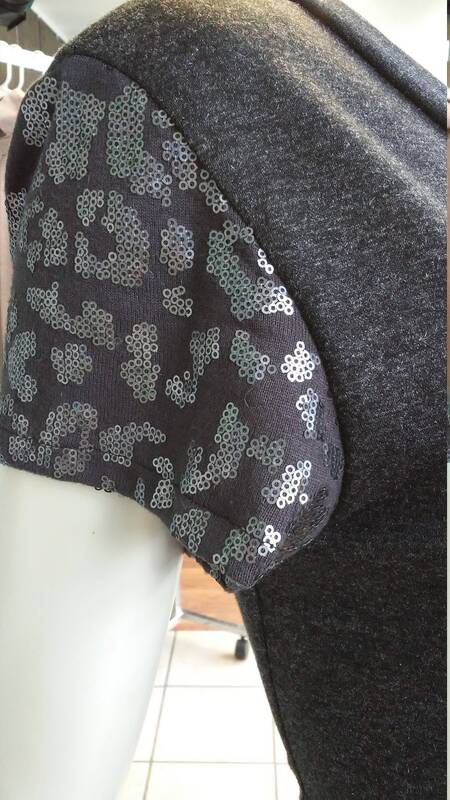 Sequins on sleeves for added style. Falls just above the knee. Wear with leggings, a belt, boots, etc. Versatile and comfortable.